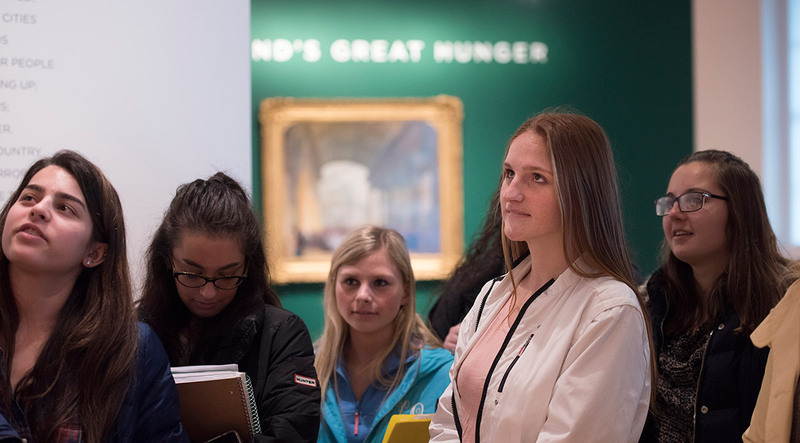 Ireland’s Great Hunger Museum preserves, builds and presents its art collection to stimulate reflection, inspire imagination and advance awareness of Ireland's Great Hunger and its long aftermath on both sides of the Atlantic. 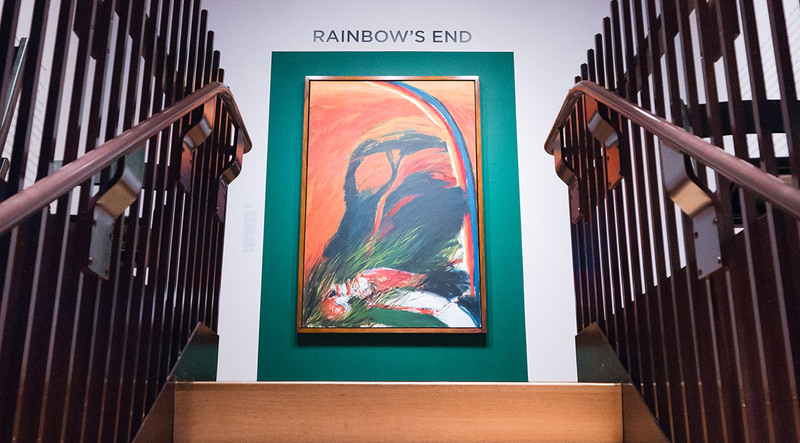 Works by noted contemporary Irish artists are featured in the museum’s permanent collection including internationally known sculptors John Behan, Rowan Gillespie and Éamonn O’Doherty; as well as contemporary visual artists, Robert Ballagh, Alanna O’Kelly, Brian Maguire and Hughie O’Donoghue. 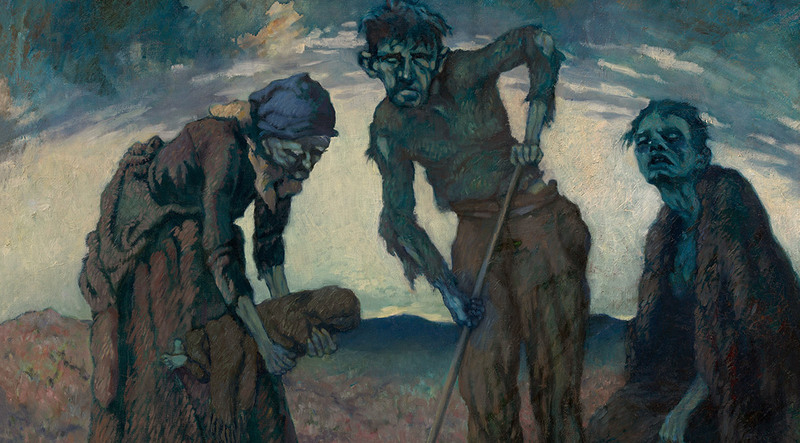 Featured paintings include several important 19th- and 20th‐century works by artists such as James Brenan, Daniel Macdonald, James Arthur O’Connor and Jack B. Yeats. 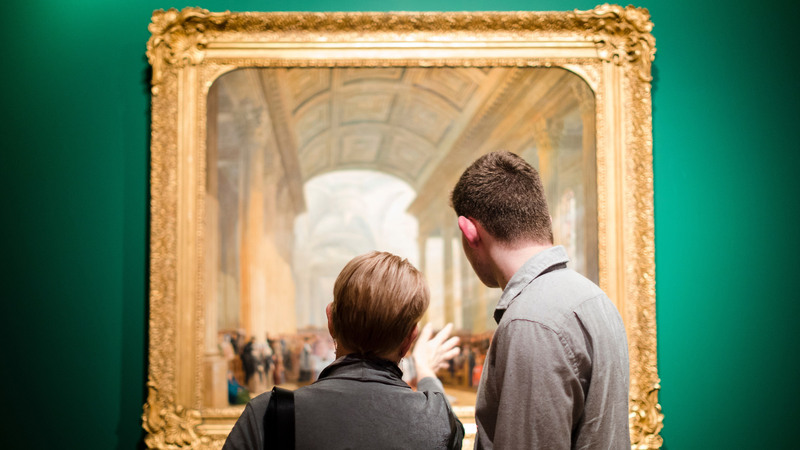 Our online collection database is currently a work in progress and undergoing constant updates.